Thousands of patients were removed from a hospital's waiting lists in a bid to "fiddle" the system, it is claimed. 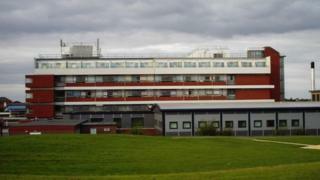 A BBC investigation found thousands of Kettering General Hospital patients had waited a year or more for operations. David Phelan, a hospital trust governor, claims patients were removed from lists because national targets were being missed. The hospital admitted there had been "anomalies" and that a thorough review of data had been carried out. A hospital review has found that 138 patients were harmed - including one who had substantial sight loss - as a result of the long waits. Mr Phelan, who raised concerns under whistleblowing procedures, was working as associate general manager in the trauma and orthopaedics department when he discovered discrepancies in the referral to treatment time (RTT) data in October 2015. He warned managers that the daily RTT report was understating the true position by half when checked against patient records. He told the BBC he discovered managers at Kettering General Hospital had used six exclusion categories to remove patients from their official waiting list data. "It became apparent to me that a systematic fiddling of the waiting list figures was taking place," he said. "I made a whistle-blowing submission about this. I have been stonewalled about this for two years." He says the trust manipulated the figures to avoid being fined for patients waiting longer than 52 weeks. The NHS regulator fines for breaches of waiting times are per patient. House sale consultant Andy Hames is one of the forgotten patients. The 45-year-old from Corby had been suffering from a painful prostate complaint. "I went for my pre-operation at Kettering General Hospital. I was told then the operation would be performed within two weeks. Two weeks passed and no notice of the operation. "I waited and waited and still no joy. By that time a year had passed. I went to my GP who made a complaint. They chased it up for me and the operation was carried out a couple of weeks after. "During that year I was suffering discomfort. It was hard to urinate." 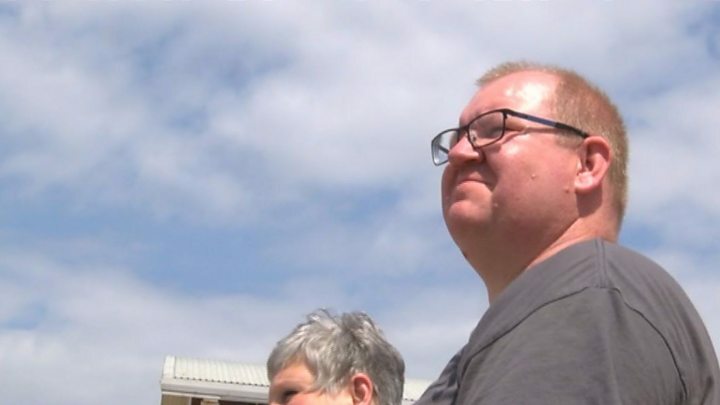 Mr Hames, who has since made a recovery, said he was never told he had been dropped from the list but is now angry that he was forced to suffer so long. An inspection report by the Care Quality Commission said when these data problems were identified, the number of patients found to be waiting more than 52 weeks leapt from just eight to 25,000. The hospital, which has a deficit of £25m, has spent more than £3m trawling a million records to try to find the true number of people waiting for treatment. The hospital trust was put into special measures last month by the regulator as it tries to clear the backlog. Waiting times for hospitals are heavily regulated - and for good reason. The sooner a patient is seen by a consultant, the easier it is to nip a problem in the bud. At one time hospital trusts were fined for every patient who waited too long. In Kettering's case this would have added up to many millions of pounds, money they could not afford to lose at a time when deficits were starting to fall into the red. Accurate computer data is vital not just for the regulators, but for the trusts themselves who need to monitor their own progress and spending. Many of the patients left waiting were elderly and many didn't complain. It is a feature of our investigations that, in the cases we found, the patients only got their operations after complaining on social media, or to their GPs or MPs. Whatever the reason, it is astonishing that so many were apparently lost in the system. A hospital spokesman said: "We suspended reporting of our waiting list data to the Department of Health in December 2015 when we became aware of some anomalies which suggested there could be some issues with our systems. "In March 2017 we returned to reporting our waiting list data. "This means we are confident we have now addressed our data quality and system issues and that our waiting list data is reliable." Kettering General Hospital's chief operating officer Rebecca Brown said: "I want to reassure our patients that throughout this period - in the vast majority of cases - patients' treatment pathways have progressed as normal. "However the intensive review of our waiting list data and systems has found, as of May 21st 2017, 282 patients who have waited more than a year (52 weeks) to be seen. "This is unacceptable and we profoundly regret that these cases were not seen appropriately much earlier."